The Olympics is a cut-throat competition for only the elite triathletes on the planet. Every athlete dreams of representing their country in the Olympics. That’s how you know you’ve made it. But it’s a long way there. 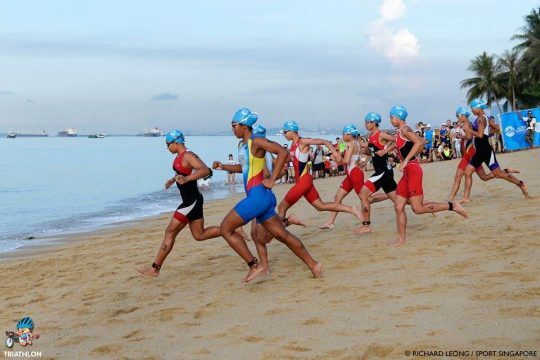 There are competitions under the International Triathlon Union or the ITU that athletes have to race in to reach the standard qualifying points for the Olympics. One example is the World Cup. 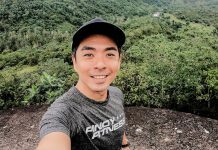 The top triathletes of the Philippines have represented the country in the World Cup but none have ever managed to complete it. That is how intense the competition is. Once you’ve made it, you know you’re well on your way to the Olympics. Maria Claire A. Adorna is one of the athletes gearing up for the taxing World Cup. 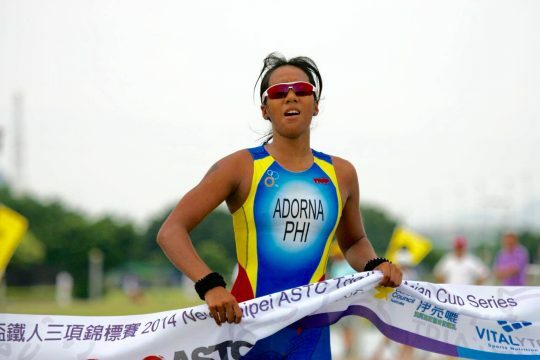 She finished third in the 2014 New Taipei ASTC Triathlon Asian Cup, placed second in the 2015 Unilab Active Health’s Tri United in Subic, and won the first gold medal for the country in the 2015 Southeast Asian Games. She was also the Swimmer of the Year in 2013 and was awarded the Women’s Elite 2014 Triathlete of the Year Award. This is extremely amazing for someone who has only been in triathlon for three years. Although she’s only shifted to the sport a couple years ago, she already has plenty of experience in one of triathlon’s three disciplines. Claire Adorna started swimming when she was four years old but only went to lessons at six. She started competing in novice meets at seven. And when she got older, she stood out in the Philippine Swimming League (PSL) association. However, since PSL is not the national swimming association in the country, she wasn’t part of the Philippines’ national team even though she was a strong swimmer. Every single athlete should have a fair chance to be in the national team because all serious athletes have a burning passion for their respective sports, which make them work harder than anybody else. I swim myself and I know that it’s no small feat to be strong enough to land a spot on the national team so she definitely deserved that spot. 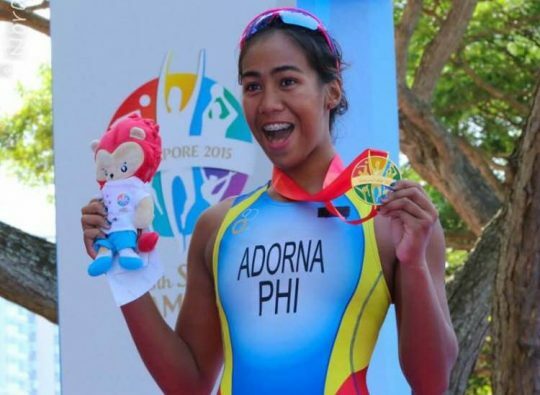 Thus, she wasn’t given the chance to represent the country as a swimmer in the Southeast Asian Games (SEA Games) and the Asian Games. 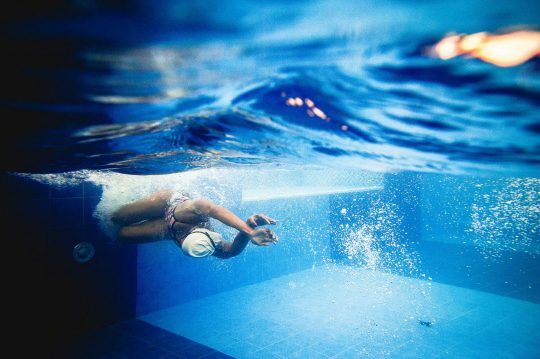 Her strong background in swimming is definitely a factor in her success as a triathlete. She also has experience in biking. Ever since a good friend of hers lent her a bike in 2013, she used it as a means of transportation to get to school in order to save money. Because of this, when she shifted to triathlon, the only discipline that she didn’t have any experience in was the running. 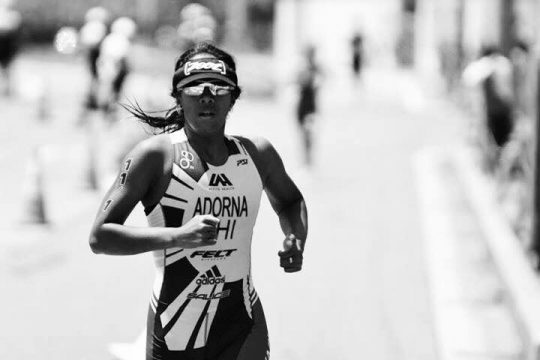 Adorna only started running when she started training for triathlons so the runs were difficult for her. She also has a flexible ankle, due to her history in swimming, so she was especially prone to injuries during the run. Claire Adorna had a peroneal tendon tear at her left ankle. It was an old injury that hadn’t been addressed. Her doctor told her it had originated from a sprain that she got when she was young. She didn’t notice it because she was a young swimmer so her injury didn’t have a huge impact on her ankle. 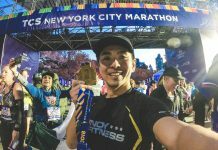 It only started affecting her when she shifted to triathlon and started running, especially when she started doing intensity workouts and going to international training camps. When her doctor told her about having to have her ankle operated on, she was really worried about her future in triathlon. She started asking herself what people would say about her because she wouldn’t be able to perform at a certain time. She wondered about whether her strength, endurance, and speed would still be the same after the operation and whether her family, friends, and coach would be disappointed in her. It was a good thing that her friends and coach were able to reassure her by saying that this was just a challenge and that she will become stronger when she overcomes this because she wouldn’t feel any pain she runs and she’d be able to give her 101% on the run. She had her ankle operated on last year after the 2015 SEA Games was over. She mentioned that since her long term goal was to compete in the 2020 Olympics, it was best to have it operated on at that time. This is also her biggest challenge at the moment. She had to rest the ankle for six months so when she returned to racing in March 2016, her performance wasn’t as good as she expected it to be. However, she has high hopes of improving and she can do that and beyond with the training that she does and the attitude that she has. Claire Adorna is the perfect example of a dedicated athlete who trains with her heart to reach her goals. Every single time she trains, she sets her goals and promises herself that she’ll complete them. When she doesn’t manage to do that, Adorna mourns for a day. She takes it as a learning experience and tries to pinpoint the reason why she’s not able to achieve her daily goals. Because of that, when the next day comes around, she’s able to find ways to improve on her performance from the day before. With this attitude, it’s honestly no wonder how she has been able to become a great triathlete! She attributes her success to her family, her boyfriend, and her coaches. As an athlete, it is especially important to trust your coach and Adorna shares this opinion. She says, “If you don’t trust your coach, might as well leave because you’re not going to listen to her, you’re not going to respect her.” As I said, I don’t go to training just for the sake of going there. I go there because I know my coach is going to give me something that will benefit me and benefit her.” It is important for her to have the coach that she wants, trusts, and respects, and she believes it will benefit all the athletes. Being an athlete at the top of her field naturally comes with plenty of fans and triathletes who look up to her and who want to be like her someday. She has a message for them: “Just keep trying. Don’t ever do something that you don’t love. That’s number one. Because if you don’t do what you love, it’s useless. It’s really useless.” She continues by saying that everything will fall into place when you love what you do and that you’ll be able to learn, win, and succeed because you’re happy. It’s a solid advice that anybody can follow, even if they’re not athletes. Maria Claire A. Adorna already has many incredible accomplishments. She’ll definitely go on to do even greater things, and perhaps one day, who knows… the Olympics? Nicole is a 14 y/o teenage writer who loves to read and enjoys watching funny videos on Youtube. She struggles to swim, finds it torture to run, and has trouble biking but does it anyway.